Quatos requires knowledge of the aircraft mass distribution and motor placement. Once you have all your masses, and their placement measured from the center of the body, QuatosTool will generate all the parameters you need. Start by weighing all of the major airframe components. 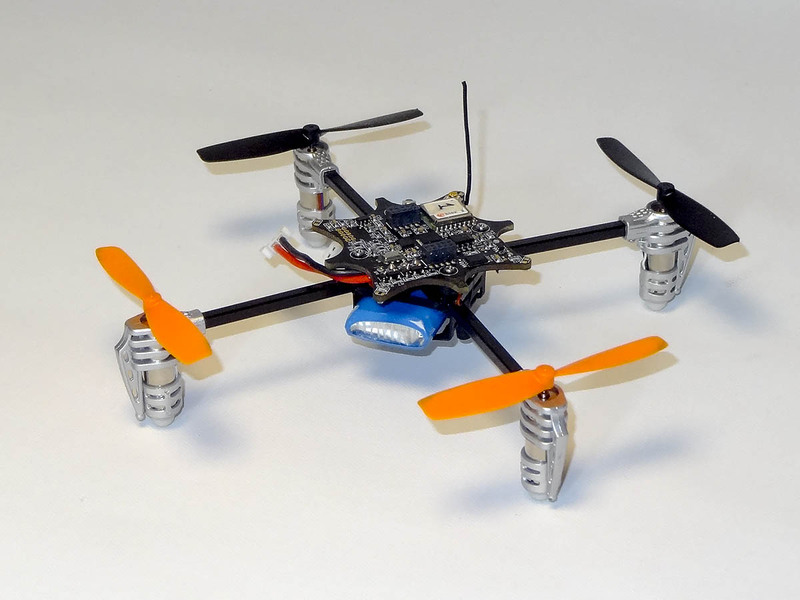 Motors, mounts, arms, body, landing gears, gimbals, flight controllers and similar. Basically you need to know mass of every major component. For bigger components such as gimbals, body, batteries and other peripherals, you also need measure their size. Make notes. The first commented part of the XML file tells you that distances are in meters and mass is in grams. 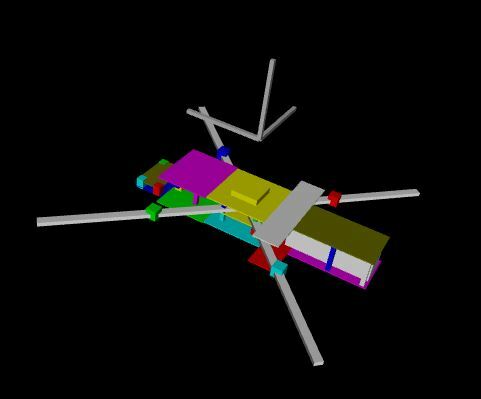 The first lines begins the quatos configuration by defining the name of the config and telling the Quatos tool that the frame geometry is a Quadrocopter in X-orientation. Craft id can be anything it is just for your reference. The next lines defines the distances for motors and other items mounted on the arms. This is expressed in meters from center of body. Since the motor layout is already defined in the setup line (quad_x), we only have to state the distance from body center to the part. 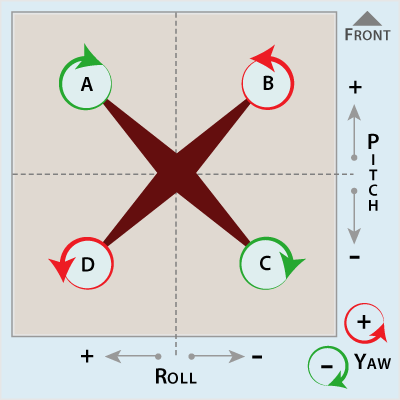 All size and position coordinates consists of X (along roll axis), Y (along pitch axis) and Z (along yaw axis) coordinates. 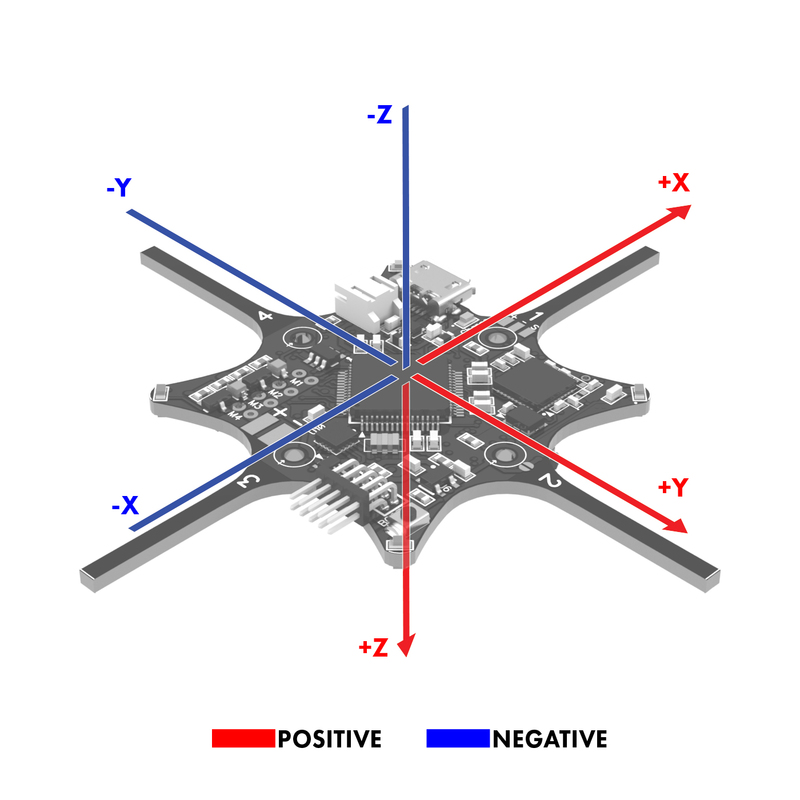 Forward, Right and Down coordinates are positive. Backwards, left and up coordinates are negative. Remember that dimension and offset is in meters and mass is in grams. Point of origin is the frame center. In case you need to add more stuff like cams, gimbals and other payloads, these can be broken down into cubes by duplicating the cube lines and editing the dimension, distance and mass coordinates. When you are done editing, save the XML file under a new name. We now have a file that defines the masses and distances for the Ladybird frame in X configuration. 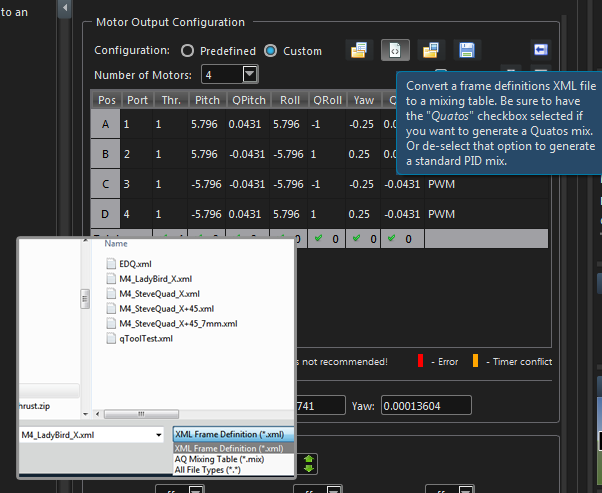 Next step is using this file to generate moment of inertia and motor thrust distribution parameters using the Quatos tool. You could use either the online quatosTool found on the drone-controls site or use the offline one. We recommend the online version of quatosTool for those uncomfortable with a command line interface. 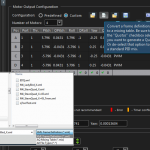 As of QGroundControl AQ v1.6, you can import your xml file directly into the Motor Mixing Configuration. This runs the included quatosTool in the background, shows you the output, and loads it into the displayed mixing table. Be sure to select the “Quatos” checkbox first. Start by downloading the Quatos tool from the utilities section of the Autoquad FTP. 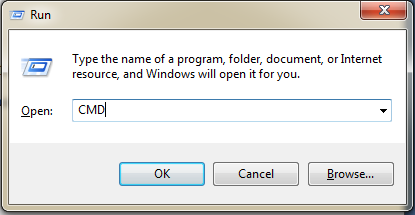 Type “CMD”, this will bring up a windows command prompt. Get more info and the download in this forum thread. This page was created on 14-Aug-14 by jussi. Last modified on 28-Jun-15 by kinderkram.